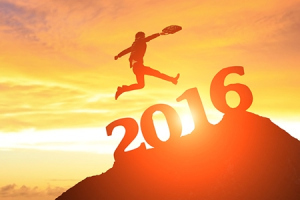 Most organizations have already mapped out the changes they need to make to be successful in 2016. Projects for new services, tools, technology, and processes have already been planned, or are currently in the planning stage. Unfortunately, many of these will fail to realize their expected value. This is not because they were poorly designed, were the wrong technology types, or inadequate implementation planning and execution. These organizations failed to recognize the need and the value of Organizational Change Management. Evaluating the impact of the change and determining the organization’s readiness to accept change. Many organizations address Organizational Change Management as part of Project Management, but the methodology, skills, and techniques are vastly different. Project Management focuses on the quality delivery of the change while maintaining scope and budget that have specific start and end dates. Organizational Change Management focuses on influencing the behavior and culture of the organization, and the individuals involved to accept & sustain the change. This can mean instilling new ways of thinking, working, and acting that will need to continue long after the change itself has been implemented. Does your organization have the skills, experience, and knowledge to ensure that the changes you have planned for 2016 succeed? If not, Flycast partners can provide Organizational Change Management expertise to ensure that the expected value of your changes is realized.